La Source Hand Wash by Crabtree & Evelyn – Revitalise your senses with the crisp, clean scent of refreshing aquatic accords, musk and gentle shoreline breezes. 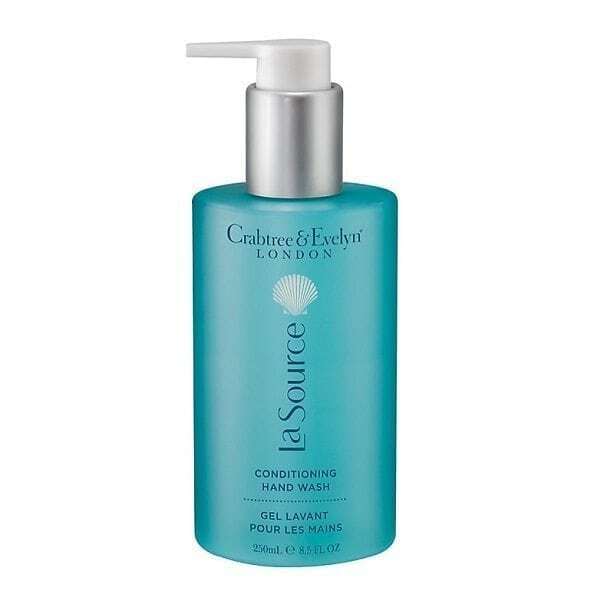 This hand wash is formulated with rejuvenating bladderwrack and conditioning algae and spirulina extracts. Combine the Hand Wash with the Exfoliating Hand Scrub and Moisturising Hand Therapy for the complete 3 steps to beautifully silky soft hands – pH balanced hand wash – skin rejuvenating – crisp, clean scent of refreshing aquatic accords, musk and gentle shoreline breezes – convenient pump dispenser. Fragrance: A crisp, clean scent of refreshing aquatic notes, musk, and gentle shoreline breezes.